Once upon a time the witch held a place of esteem in the village; her knowledge of local plants and wayside herbs were used to heal; her wisdom and empathy made her the village matchmaker and marriage counselor; and her ability to commune with nature and animals gave her a place of revelry and wisdom. She was the Hedgewitch. 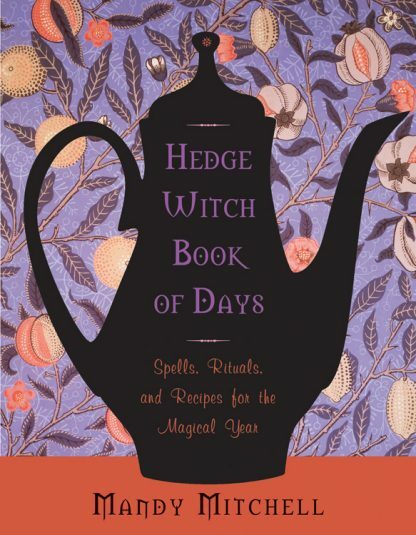 Aimed at the busy witch, who is both breadmaker and breadwinner, this book revives the spirit of the Hedgewitch and teaches you how to make every day one full of wisdom, healing, and magic. For the practicing or would-be witch whose life is more jeans, chaos, and the never-ending question of what�s for dinner than it is black robes, cauldrons, and incantations, Mandy Mitchell has a recipe for you! Journey through the wheel of the year with one eye on the kettle and the other on the magical! Mandy Mitchell is a mother, a doting grandma, and also a practicing Hedgewitch. She lives within the magical landscape of Wiltshire, with Stonehenge, Avebury, and Savernake forest very close by. She believes in juggling real life and trying to live each day magically by turning the day-to-day tasks into magical rituals. Along with simple spells, seasonal food and honoring the rhythms of nature, a sense of humor is key to being a modern Hedgewitch! Mandy is passionate about connecting with others in today's busy world, bringing the modern and ancient together. She embraces the online world and would love to hear from anyone wishing to be part of the magical community. Check her out: https://www.facebook.com/hedgewitchbookofdays.